Well her sale fell through and it turned out she was really too shy to sell so I brought her into the house to socialize her and fell in love. So I guess she's staying here. 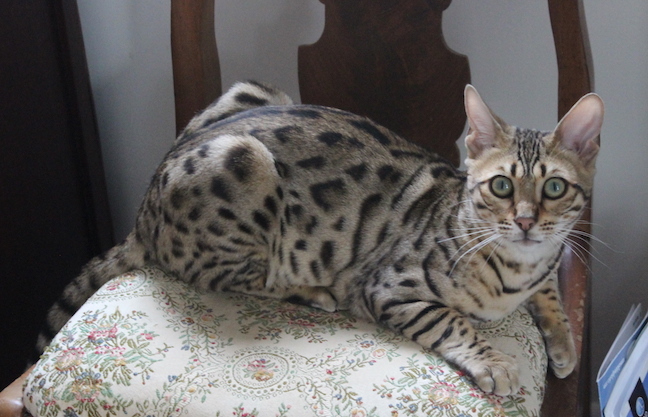 I think of her as an "old fashioned" Bengal with spots, not rosettes. A classic look. And she's a beauty. And a troublemaker. 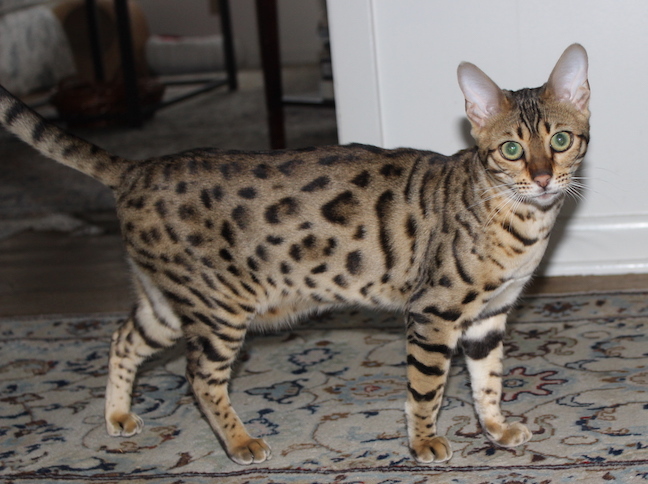 Priscilla at 8 months. Prettier and prettier. And always in heat.